A Laowai "老外 (lǎo wài) is a foreigner that lives in China. These are often expats, long-term travelers, or even trailing spouses known as "Guy-Tais." 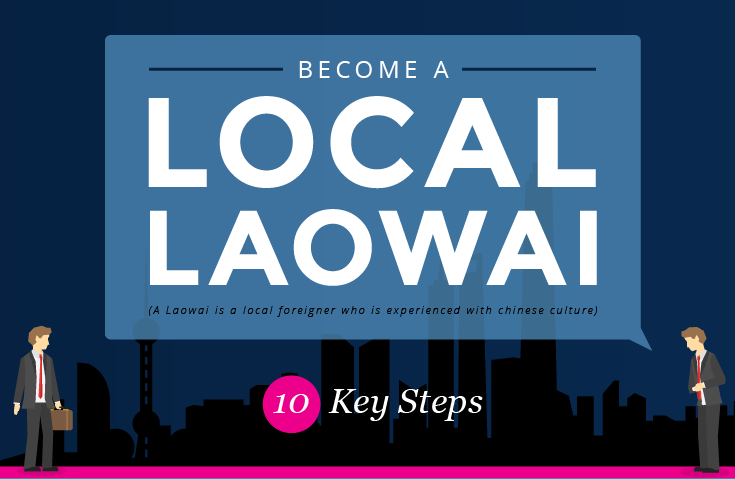 Here are 10 steps to become a local Laowai. A Laowai is a local foreigner who is experienced with Chinese culture. 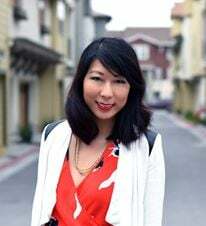 China is a wonderful and interesting place to visit regardless of whether you are going there on business, pleasure, or to meet the love of your life. Keep in mind that you will most likely find yourself struggling with some culture shock. Therefore, here are some key points to keep in mind whilst visiting China; follow them closely and you will be more than just another foreigner. You’ll be a local Laowai! 1. English is not widespread – But a little effort trying to speak Chinese goes a long way. Although you will see the word “international” written on almost ever hotel, shopping mall, or school in China, the only thing international about them are the flags hanging outside. Most Chinese people cannot speak English well or are sometimes horrified to even try. Being able to speak a little Chinese will not get you too far, but at least you can amuse them by trying and eventually win their admiration. Do you want to talk about a big red pimple on your nose? Feel like chatting about that hemorrhoid operation you had last year? Not in the mood? Well, that is how Chinese people feel about these taboo topics: Politics, Tibet, Taiwan, Human Rights, Internet Censorship. Avoid them and you should be okay. 5. On your marks, get set, BARGAIN! If you thought Kung Fu was China’s national sport, then think again. The art of bargaining is where Chinese people excel. Unless you are in a fixed price store or a branded goods shop, never accept the first price you get and fight hard for that extra discount. 6. The Emperors are gone and cash is now the new king! There is an ATM on almost every corner in China these days, but carry enough cash at all times just in case they’re not working. Plus, many places prefer not to take credit cards. At last, something that remotely resembles Western culture! Just like in most western countries, it is considered impolite to call seniors by their firt name. In China, you should avoid using their names altogether. Don’t ruin everyone’s appetite – how would you feel if someone wrote your name on a grave (while you’re still alive)? That’s exactly how the Chinese feel when you stick your chopsticks like this in your rice. Instead, lay them balanced on the edge of the bowl. Superstition plays a big role in China. And, in the land of superstitions, numbers are key. Keep in mind that the numbers 3 and 8 are considered to bring good fortune, whilst the number 4 is, like many other things, associated with death. 10. Not every gift will be received with a smile. In China, gifts hold secret meanings. If you don’t want to insult someone, or be insulted, make sure you get your gifts right. Don’t ever give a man a “green hat,” as that would be the same as calling him a cuckold. Clocks and white wrappings should also be avoided since they carry the meaning of death. We hope this post was helpful. With this steps, you’re well on your way to be a local Laowai! Infographic provided by our friends at Learn Mandarin Now. You can also check out Learn Mandarin Now's interview of TutorMing here, where we discuss our top 10 tips on learning Mandarin Chinese.